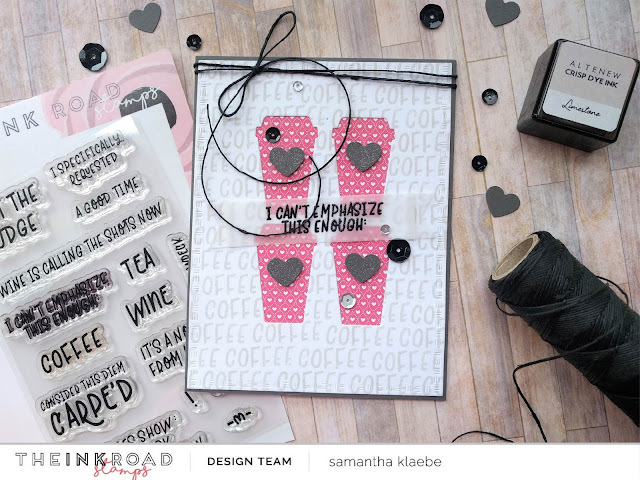 Ink Road Stamp: Did you say coffee??? Not sure about you...but coffee is my best friend these days! It's also something I enjoy doing with my friends (going to a kid friendly cafe, drinking coffee - baby chinos for the kiddies and eating as much cake as I/we want!)... 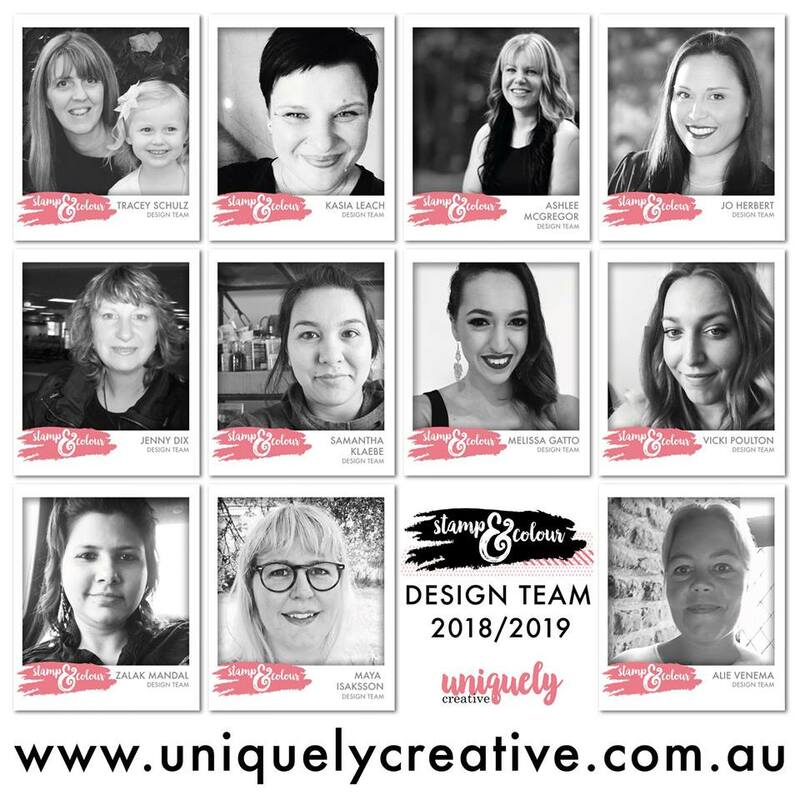 so these cards are perfect as a little invite and thank you to my extended 'tribe' - because aside from coffee my close friends are always there for me and my little family. I created two cards below using Ink Road Stamps - The Struggle is Real. I played around with repetitive stamping of the word 'coffee' for the background and used a coffee cup die negative and pattern paper as my feature in the centre of the card. I added some hearts and heat embossed the sentiment in black on vellum. Lastly I added black twine and some black sequins. The second card uses the same process just in a slightly different layout. Thanks for stopping by - you can also see me on the Ink Road Stamp blog here! 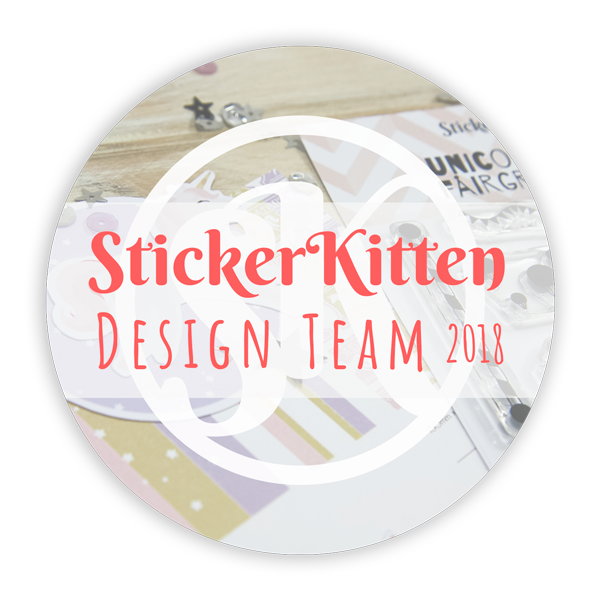 I’m back again for Craftie Café – this time trying a new (for me) stamp brand! 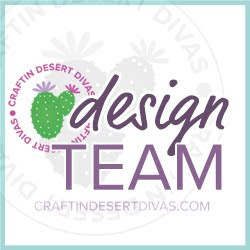 I generally stalk the Craftie Café website – waiting for new stock, or checking if I’ve missed something that I’d love to add to my stash. I saw this stamp a few times while browsing and was quite hesitant at first to try it. Being Christmas themed this month – I figured I’d give it a go and I’m really happy I did! 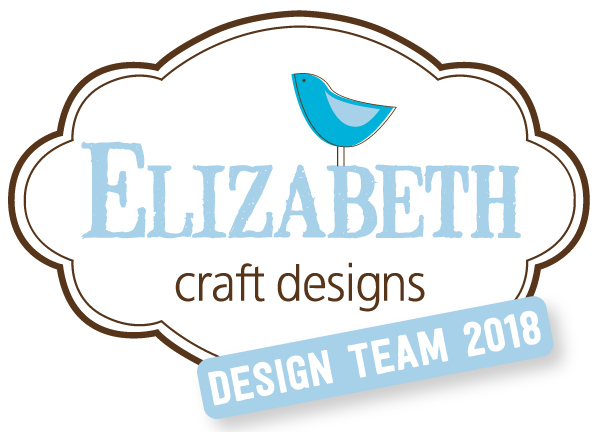 I’ve not heard of Nellie’s Choice brand – but Craftie Café stock a few of their stamps and I thought it worth a try to share with you what they’re like and how I use them. 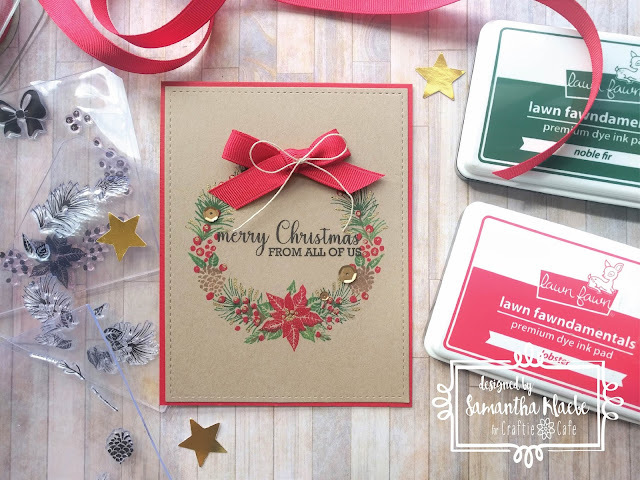 I decided to stick pretty close to the example shown on the packaging in terms of colours – using tradition Christmas colours, with what Lawn Fawn ink I had (supplies list below) and I created a video tutorial of the process I used to create these cards. 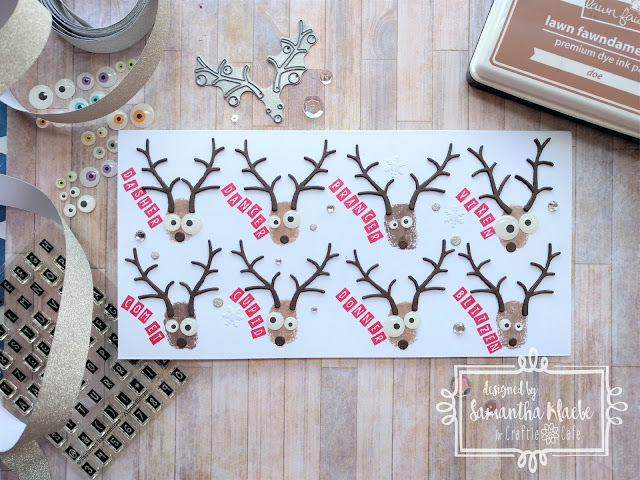 Here is my card using Nellie Snellen’s (Nellie’s Choice) stamp set – Christmas Wreath. 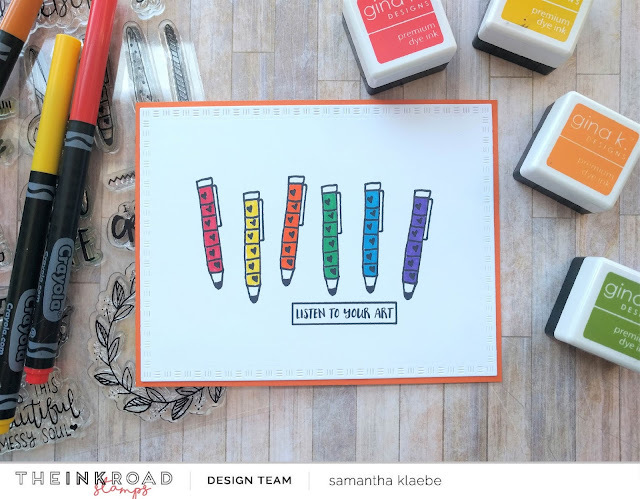 It's Friday Feature over on the Ink Road Stamps blog! 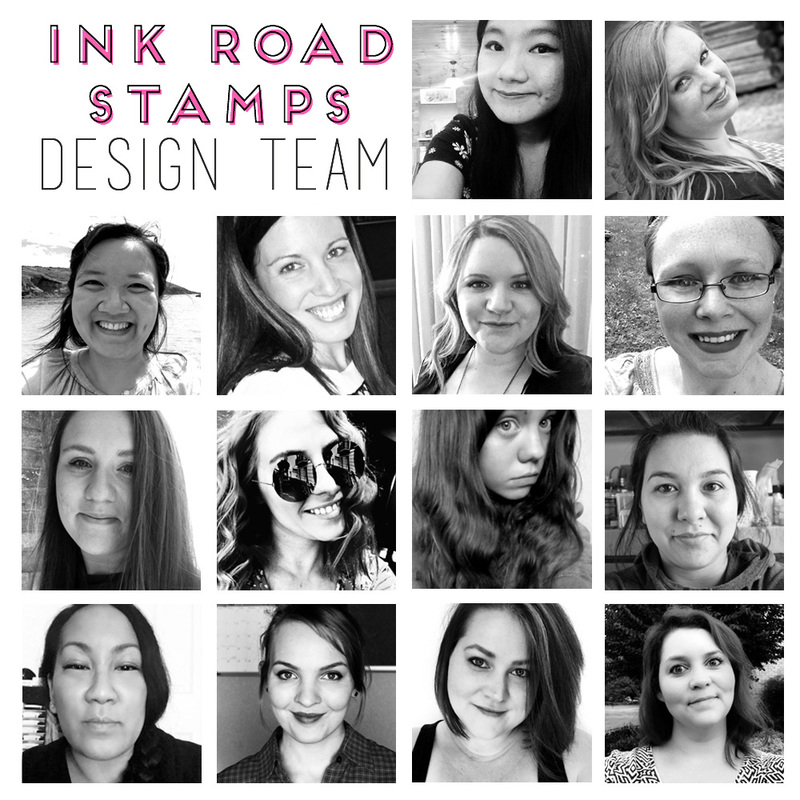 Wanna see what other members of the Ink Road Stamp design team created? Check their projects out here. It’s beginning to look a lot like Christmas!!! Just this week at our local shopping mall, my boys noticed all the Christmas decorations up – and though no Santa – his chair is ready and waiting! Here are the (new) cards. Quite a simple card using left over banners that didn't get used. I adhered them to my card front, followed by a machine stitched line. Next I stamped the sentiment from Wplus9 - Happy Gang stamp set and I finished it off by embellishing it with some My Little Paper World sequins. I'm quite happy I was able to use up my left overs - normally they get put aside for 'just in case' moments and don't actually ever get used!